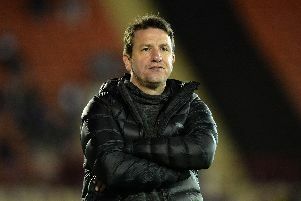 Tykes boss Daniel Stendel stuck with the same side that defeated Accrington Stanley at the weekend, but his team couldn’t break down the Black Cats on a bitter and blustery Oakwell night. Stendel’s men did everything but score as Mamadou Thiam - the Reds’ most dangerous player in the first-half - struck the crossbar and Cauley Woodrow had a header ruled out for offside. 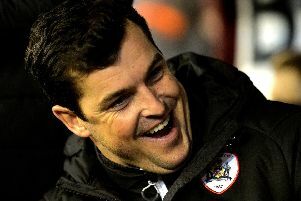 Nine minutes in saw Barnsley carve their first real opportunity and it was created by a poor backpass from Sunderland’s Luke O’Nien. Mamadou Thiam latched onto the defender’s header and cut inside on the edge of the box only for Jon McLaughlin to turn his powerful effort over the crossbar. The visitors replied with a long-range curler from Max Power and Adam Davies did well to his left to deny the midfielder’s effort on 17 minutes. In tough, blustery conditions, both teams were enjoying some decent passages of play. The Tykes were attacking in their usual, free-flowing manner but the rub of the green was against them when Alex Mowatt’s lovely dink into the box evaded Mike Bahre from a ricochet. Barnsley were winning the midfield battle but failing to make it count with 33 gone. It couldn’t have got much closer for Thiam who turned expertly in the box on 37 minutes only to see a delightful strike cannon back off the crossbar. Stendel’s men were in control of everything except the scoreline, as again they squandered a good chance when Cavare struck straight at McLaughlin. Kicking against the wind in the second-half, the Reds were looking to pick up where they left off. In truth, it was the visitors who carved out the next chance and it was their best of the match on the hour mark. Max Power found himself one-on-one with Adam Davies but scuffed a wasteful effort wide. Oakwell erupted on 69 minutes when Woodrow thought he had nodded in the opener, but the flag was rightly raised by the referee’s assistant. The game had developed into a real end-to-end encounter and all it was lacking was a goal. Both sides were going for broke but the conditions caused several set-plays to drift away from danger and did its best to ruin an entertaining and pulsating spectacle.